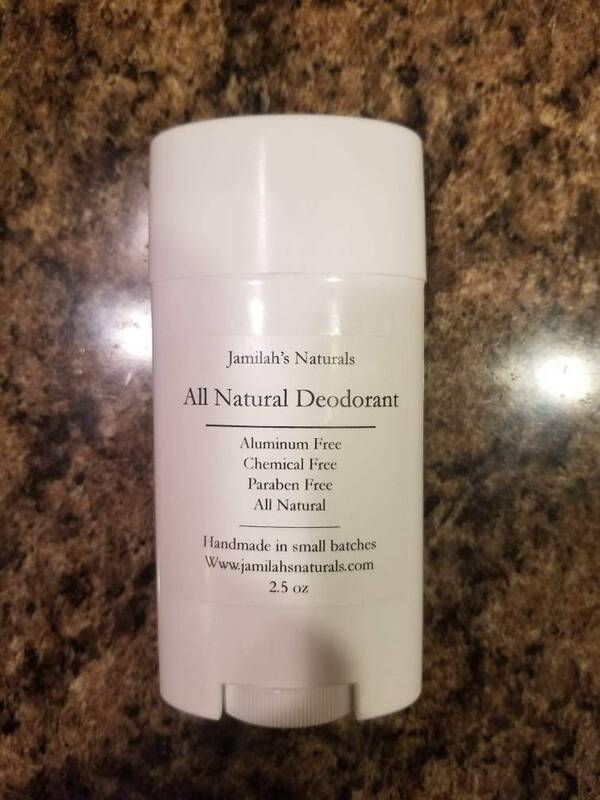 Conventional deodorants work great and give most of us what we are looking for but they also contain aluminum. This is a harsh toxic chemical that now can be eliminated. If you are looking for a more natural option, sometimes this is difficult to find. The ones available don't always work well. My deodorant uses baking soda and arrowroot added in for odor protection. This is not an antiperspirant because their is no way to stop the body’s ability to sweat naturally. 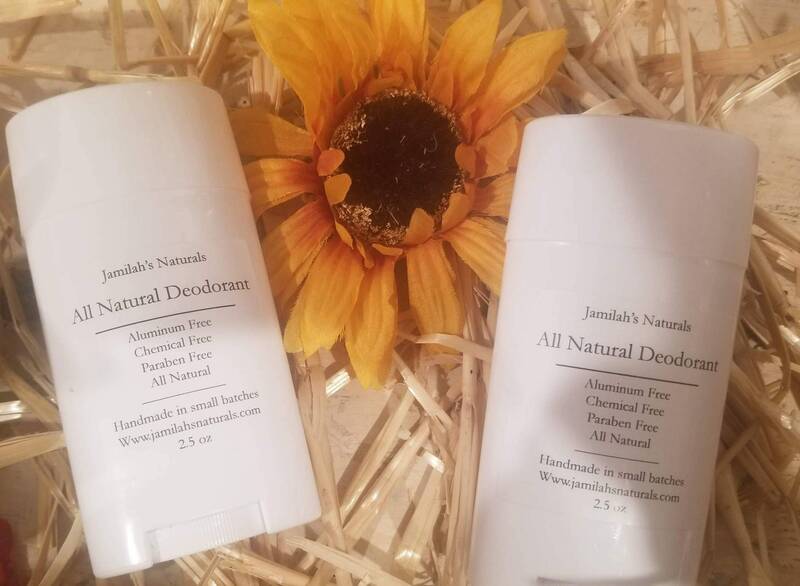 You will sweat less and less as your body adjusts to a natural deodorant and it won’t be needed anymore like before. Don’t over apply. You only need to lightly coat your underarms. Over applying will actually make it not work as well. Two to four swipes is ideal. If over applying oil may stain clothing. Only twist up as much as you need. It will be slightly softer than store-bought deodorant, and may fall off if you twist it up too much. This deodorant will stay solid at room temperature; however, if you live in an area with extreme heat you can put the stick in the refrigerator to harden it up a bit. This is a deodorant only, and it will not keep you from sweating (though it does do a good job of absorbing most of it, and certainly keeps you from stinking). Love this deodorant, smells great and keeps me fresh all day! This smells so amazing! It went on super smooth too! So far it has worked great!